When was Canada’s first birthday? This year Canadians are celebrating 150 years. Unknown to many its 150 years of confederation. That’s 150 years as a self-governing nation, signing a treaty that brought 4 British ruled colonies together. The Great White North has been in existence for billions of years. The Albertosaurus and the oil fields are proof. It has been inhabited by humans for thousands of years, home of the Indigenous North Americans, victims of colonialism. Canada though has only been a self-governing nation recognized by the world for 150 years. Is July 1, 1867 really when Canada was born or has it forged its birth certificate? 1867: July 1 is recognized as the official date of confederation: New Brunswick, Nova Scotia, Upper Canada (Ontario) and Lower Canada (Quebec) come together and decide to form a country named Canada. At that time Ottawa was a central location so it became the capital. Canada’s slogan (aka motto) was “Ad mari usque ad mare”. Translated from Latin it means “From sea to sea”. Canada only had territory on the Atlantic at Confederation. Their goal was to reach the Pacific. The original four said “Let’s leave Mama Britain. We can take care of ourselves. Besides, she’s only 4 time zones away; we can call her anytime we need help”. They signed a treaty and became independent from British rule; they created the birth certificate. 1812: 55 years before Confederation (205 years ago) Canada fought it’s last great war with its southern cousin. In retaliation to a British-French conflict that affected them the 18 United States of America tried to take over British and French North America. Canada might have ended up state 19 but historians agree Canada/British North America won the war. A treaty was signed. Soon to be Canadians gave a sigh of relief. The war of 1812 is considered by many American historians to be the Second War of Independence for the United States; it was the second time they fought against British forces for independence; 36 years after becoming a self-governing state independent of British rule the United States fought against the British to expand its territory. Although the Americans lost the war it strengthened their patriotism and loyalty. It also increased patriotism for Canadians, then British North Americans, and is considered an influencing factor in Confederation; they were still in school being taught by the British but were thinking about graduation when they would have to work and take care of themselves (collect their own income tax). 1917: The Battle of Vimy Ridge. It is named a defining moment in Canadian history. In 1917, 50 years after Confederation (100 years ago), Canadians were fighting under the British in WW1. The soldiers were Canadian but the commanders were British. In April 1917 the British sent in the Canadian forces to fight in Vimy Ridge. Vimy Ridge was a well guarded and a strategic point. It is claimed that the British sent in Canadians in what they thought to be a suicide softening battle; Canadians were sent in to soften the enemy so the British could go in, take Vimy Ridge and take credit. Canadians weren’t expected to return. Fortunately for Canadians the British plan was unsuccessful. Canadian troops took Vimy Ridge, defeating the enemy and showing the world that Canadians weren’t just British pawns. The Battle of Vimy Ridge is considered a monumental battle and turning point in WW1 leading to Ally victory. Canada was recognized by the world. Today a monument to Canadians stands on Vimy Ridge. Together with monumental battles Canada has seen a range of territorial and border expansions; it has always wanted a bigger house. In 1870 (147 years ago) Canada truly saw the North. Canada bought the Northwestern Territories and Rupert’s Land from the Hudson’s Bay Company, the oldest Canadian consumer business still alive and prospering today. The bought land became the “Northwest Territories”. Across time much of it was divided to form provincial and territorial borders that exist today. During the 1898 Gold Rush a piece of the Northwest Territories was made Yukon Territory. Nunavut Territory was created in 1999 as part of a treaty with the Inuit. When Manitoba was first created from the Northwest Territories in 1870 in reaction to the Red River Rebellion it was considered a “postage stamp size” province. PEI joined the Canada confederation in 1873, 3 years after Manitoba. PEI was the same size it is today; Manitoba was then only 5 times the size of PEI. It’s current borders weren’t created until 1912. In 2017 Manitoba is over 114 times the size of PEI. (Note: every province and territory has always been larger than PEI). In 1912 much of Canadian provincial border expansion was completed; what is today Northern Ontario and Northwestern Quebec was part of Northwest Territories before 1912. To ensure stability during the western rush, Canadians moving west into its newly occupied territories that had fertile soil Alberta and Saskatchewan Provinces were created in 1905. Their borders haven’t changed. Newfoundland and Labrador can be considered to be the last province to join confederation. Although Canada celebrated 150 years on 1 July 2017, Newfoundland has only been part of Canada for 68 years. Until 1949 it was a British colony. There may be fear of a another attempt by Quebec to separate from Canada but after two failed attempts the fears are shrinking. Internal Canadian borders are considered to have come to a standstill but there is the fact that Canada may welcome territories from the South or overseas and continue to grow. St. Pierre and Miquelon, two small islands off of the coast of Newfoundland are French territories; there aren’t any signs or signals but there is a chance Canada might one day have another island territory. St. Pierre and Miquelon have a population approximately 7,000, use the Euro and 220 voltage outlets; Canada and America use 110 volt outlets. St. Pierre and Miquelon shut down daily 12:00-1:30 pm for lunch. Canada’s current territorial claims were completed in 1949 when Newfoundland joined. On 1 July 2017 Canada and Canadians said the True North celebrated 150 years as a nation Strong and Free. Some consider 17 April 1982 (35 years) to be the true birth of Canada as an independent self-governing nation. 17 April 1982 is the date of the Patriation of the Constitution. Until then Canada was really the British North America Act, 1867; Canada was a piece of legislation passed by the British Parliament on 29 March 1867. On that day the British Parliament said “We’re tiered of taking care of these colonies. They say they want to do it themselves so let’s give them a chance”. Technically Canada Day is during the last days of winter. July 1 of the same year Upper Canada (Ontario), Lower Canada (Quebec), Nova Scotia and New Brunswick signed the Constitution, conveniently in the midst of summer, no snow on the ground. They signed an agreement to live together for an undefined term in a home they called Canada. Patriation of the Constitution came after a legal and judicial battle that involved provincial Premiers, Prime Minister, Federal Ministers, provincial Supreme and Appeal Courts and the Supreme Court of Canada, to create what is today the Canadian Constitution. The Canadian Charter of Rights and Freedoms (CCRF), an iconic Canadian symbol was made part of the Constitution during patriation. The Patriation was sent to British Parliament for approval; it was quickly passed. On April 17, 1982, early spring, after snow had melted in much of the land, Queen Elizabeth II came to Canada and signed the Constitution Act, a rename of British North America Act, 1867. Canada was now officially its own self-governing nation. Prior to this the British Parliament could legally have stepped in to make any changes it wanted to Canada; they could even have changed its name. Canada was considered “self-governing”, a nation that took care of itself, but anything about it could have changed from across the Atlantic. Fortunately they acted as regular British do, lazy, not wanting to lift a finger higher than they have to; they weren’t willing to cross the Atlantic for a simple, quiet nation like Canada. Even if email was available they weren’t likely to log in just for Canada. 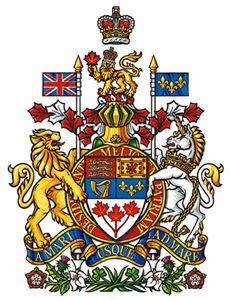 Quebec did not sign the Constitution Act, 1982 a but was part of British North America Act, 1867 passed by UK Parliament. Legally Quebec is a part of Canada; not signing the 1982 constitution is considered symbolic. Alongside Ontario, New Brunswick and Nova Scotia, Quebec celebrates 150-years as a province of Canada. Legally Quebec has the benefits of the CCRF, the Supreme Court of Canada, Members of Parliament in Ottawa and representation in the Senate; many do not consider it a province or part of Canada because it has not signed the constitution. There have been continual debates and attempts to include Quebec. The date that Quebec signs may be considered the rebirth or the true birth of Canada. Canada might soon celebrate (again). Canada is considered to be changing and being reborn on a regular basis as it accepts refugees and immigrants from around the world, most recently from Syria. Consistent across the country today, including Quebec, Canada will be a partying nation, celebrating history, heritage, culture, and present day Canada to mark the sesquicentennial of Confederation. This entry was posted in Canada and tagged Britain, Canada 150, Charter of Rights and Freedoms, Confederation, constitution, United Kingdom, United States by Rahman. Bookmark the permalink.